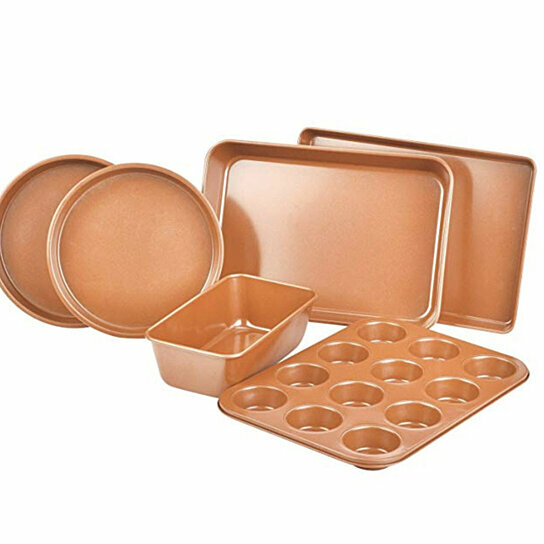 The 6 Piece Non-Stick Copper Bakeware Set is a must have for anyone! Includes one Cake Pan, Cookie Set, Medium Loaf Pan, Muffin Pan and a 2 X Round Cake Pan. The perfect set for anyone!